The location is near train station. Next to the hotel has yummy restaurant and convenient store. Always great service at the City Hotel. Thanks to the City Hotel team for numerous great stays, always feel at home with you guys. The window view was fantastic. That's the only thing credible. The location is nearby for main attractions and the metro stations. An area with less trouble than in Nanjing Lu. Hotel has English speaking staff for assistance if needed. Not perfect English. But they can support the foreigners. Room charge is reasonable, but breakfast should be improved for food varieties. Was not an impressive staff and the front desk was rude. The location is great, easy to walk to different tourist places. The subway is about 10 minutes away, bus stops are near. The neighborhood is beautiful with many good restaurants and coffee shops. There are many fancy stores close by, such as Gucci, Prada... The view from the room window was great. The room was clean and pretty spacious. The beds were comfortable. Staff were great! The breakfast was also lovely and good value for your money in Ahanghai. Location is convenient Breakfast is good and have good selection. 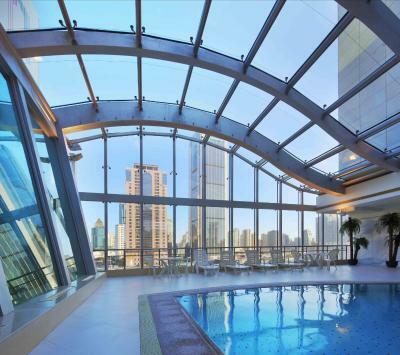 One of our top picks in Shanghai.City Hotel Shanghai is located along South Shaanxi Road, around an 8-minute car ride from South Shaanxi Road Subway Station (line 1 and 10). It features a heated indoor pool and 7 dining options. It is within a walking distance of the bustling Middle Huaihai Road, where guests can find various shopping and dining options. 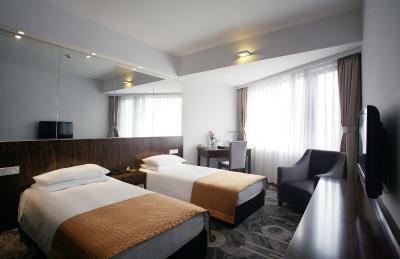 The hotel is around a 10-minute walk from Shanghai Exhibition Center and the West Nanjing Road Shopping District. It takes about a 35-minute taxi drive from City Hotel Shanghai to Hongqiao Railway Station and Airport while Pudong International Airport is around a 50-minute drive away. 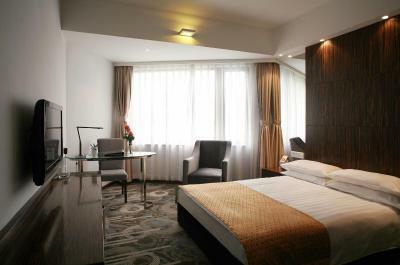 Rooms at the hotel come with modern décor and large windows that offer plenty of natural light. Each room is fitted with a mini-bar and a flat-screen TV. The bathrooms have a bathtub, free toiletries and slippers. Guests can work out at the fitness center or relax in the sauna. 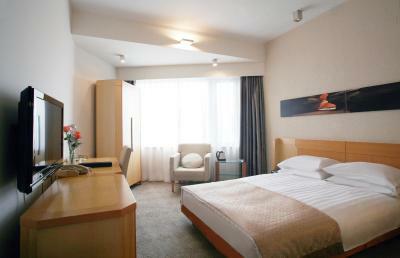 Hotel Shanghai City offers currency exchange and ticket services. Daytrips and travel arrangements can be made at the tour desk. 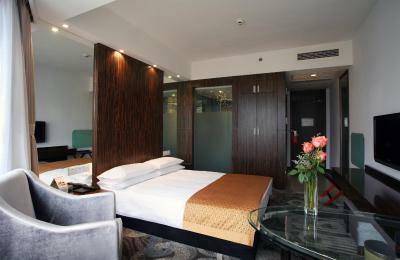 When would you like to stay at City Hotel Shanghai? Room rate includes daily breakfast for 1 person only. 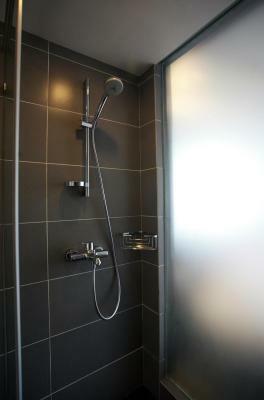 Extra fees are needed if guests wish to use the fitness center or the swimming pool. Public parking is available at a location nearby (reservation is not needed) and costs CNY 40 per day. 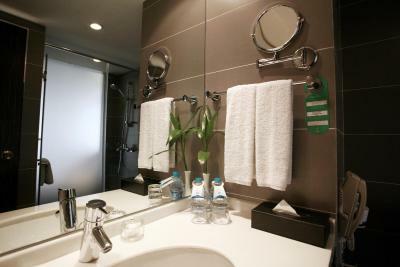 This twin/double room features air conditioning, bathrobe and satellite TV. 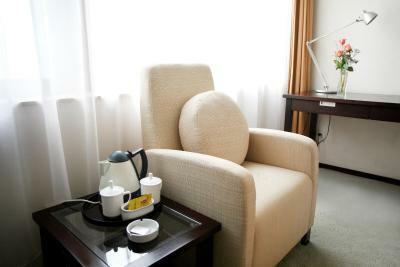 City Hotel, founded in 1989, she created a precedent for the Chinese Communist Youth League's first business, and became Shanghai's window and bridge for interchanges between the youth of Shanghai and the world. 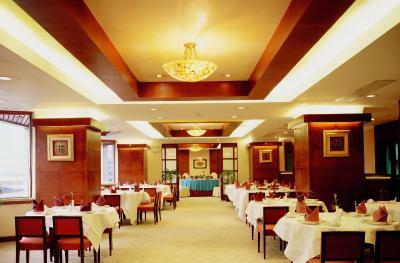 As an international four-star business hotel, over the years, she has always been the "best business hotel in Shanghai Center" as the goal to "make customers more satisfied" for the purpose.The success of City Hotel is the crystallization of the hard work and intelligence of its people, and it is also due to the support and love given to it by everyone in society. Hotel surroundings – This neighborhood is a great choice for travelers interested in shopping, architecture and skyline views – Check location Good location – show map Guests loved walking around the neighborhood! 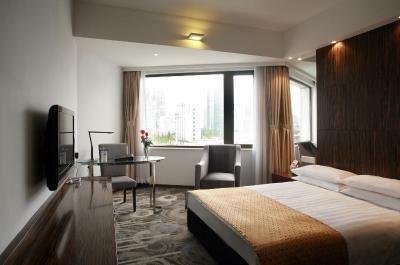 House Rules City Hotel Shanghai takes special requests – add in the next step! Any additional older children or adults are charged CNY 230 per night for extra beds. City Hotel Shanghai accepts these cards and reserves the right to temporarily hold an amount prior to arrival. The staff, although generally friendly, could use more skill in being able to converse in English and exercise more professionalism whilst interacting with their customers. The breakfast was very average. 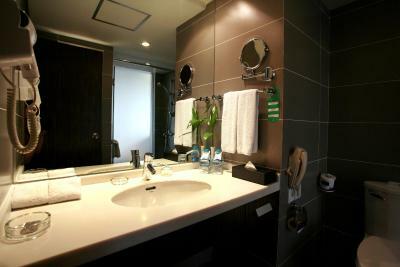 The hotel was generally satisfactory and met all your basic requirements. Clean rooms//bathroom, good size, I really liked the location of the property, there were many restaurants, shops, sites, train stations, all within walking distance. The staff were really unhelpful and unfriendly especially william wong and kiki tan (not sure if i spelt her name correctly). The check-in staff was pretty rude and not foreigner friendly. They can barely speak English and didn't show afford to communicate with non-chinese speaking guest. Breakfast is good, also the Continental. The location n breakfast and security, thanks. Excellent location in the French quarter. Good value for money.